Join us for a special evening of contemporary miniatures for piano, violin, and/or cello. All works have been composed this semester by MUSI 3380 students studying composition with Leah Reid. Works will be premiered by UVA’s outstanding performance faculty members Adam Carter, John Mayhood, and David Sariti. This event is free and open to the public. 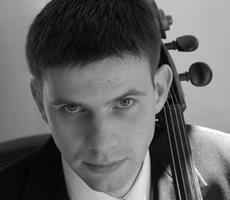 Cellist Adam Carter maintains an active career as a recitalist, chamber and orchestral musician, and teacher. Recent engagements include recitals and chamber music performances at UNC-Chapel Hill, Wake Forest University, the University of Virginia, Randolph College, Bridgewater College and Hampden-Sydney College. Dr. Carter is currently the principal cellist of the Charlottesville Symphony and has performed with the Richmond Symphony, Madison Symphony, Winston-Salem Symphony, Erie Philharmonic and Wisconsin Chamber Orchestra. A top prizewinner at the 1998 Fischoff National Chamber Music Competition, Dr. Carter continues to enjoy a rich and diverse career playing chamber music. He currently performs with the Rivanna String Quartet, Artemis Duo and the Virginia Sinfonietta. A founding member of the Tarab Cello Ensemble, Dr. Carter traveled the country playing new works for cello octet. The ensemble’s accolades include grants from the Howard Hanson Institute for American Music for its accomplishments in the performance and creation of contemporary American music, the Foreman Institute for the Creative and Performing Arts and the Fromm Foundation. The Ensemble has recorded on Bridge Records and Albany Records. Canadian pianist John Mayhood has performed as soloist and chamber musician throughout North America, as well as in Germany and Austria. He has frequently appeared on CBC and SRC radio as well as on various NPR affiliates, and his performances have been televised in both the USA and Canada. In constant demand as a collaborator, John has appeared with musicians from the Montreal and Toronto Symphonies, the New York Philharmonic, and the National Arts Centre Orchestra, among many others. Also a scholar, he has presented on subjects ranging from the philosophy of performance practice to neo-Riemannian theory at, among other places, the University of Chicago and the annual meeting of the Deutsche Gesellschaft für Musiktheorie. John's current projects include recording and producing editions of sonatas by Johann Peter Pixis and preparing a series of concerts to celebrate, in 2013, the 50th anniversary of the death of Paul Hindemith. Upcoming engagements will take him from Montreal to Phoenix in a variety of concerto, solo and chamber music settings, in works ranging from Beethoven's Choral Fantasy to Matthew Burtner's 2010 work for piano and electro-acoustics, "Iceprints". John earned his Master of Music degree from the University of Illinois at Urbana-Champaign, where he studied with Ian Hobson. His other major teachers were Caio Pagano and Jean-Paul Sévilla. John has taught piano at the University of Illinois and philosophy at Brown University and the Rhode Island School of Design. 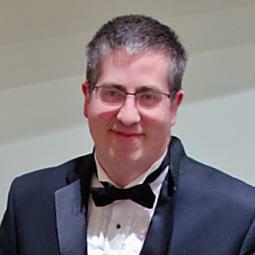 He is currently a member of the piano faculty at the University of Virginia. 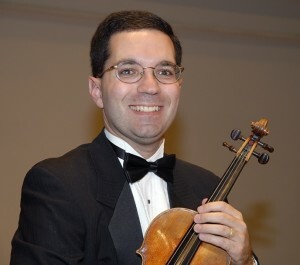 Violinist David Sariti enjoys a multifaceted career, with performance and research interests that span four centuries. Known for bringing fresh interpretive insight to works both familiar and unfamiliar, he has recently appeared as recitalist at universities across the country, as soloist with orchestra, and in diverse chamber collaborations. A recent all-Mendelssohn piano trio program was hailed as “Chamber music at a high professional level, reflecting credit on the schools that choose to have their students taught by musicians who not only have academic credentials but are also first-class performing artists.” (Classical Voice of North Carolina). An ardent proponent of new music, he has performed works by composers throughout the Southeast including UVA Professor Emeritus Judith Shatin. Equally at home with earlier repertoires on the Baroque violin, Sariti has appeared with many notable chamber ensembles and orchestras, including the Washington Bach Consort, The Vivaldi Project, and others. He is a member of “Mr. Jefferson’s Musicians”, which was founded along with members of the Baltimore Consort to perform music from the collection of Thomas Jefferson in a scholarly and musically engaging way. The group was recently featured on the Gotham Early Music series in New York. He has given numerous solo presentations on Jefferson’s music, and is featured on the CD “Music from the Jefferson Collection”. An improviser of music both old and new, he also plays jazz with Greg Howard, John D’earth, and others. Historic Brooks Hall is on University Avenue adjacent to University of Virginia’s Rotunda and directly across the street from St. Paul’s Memorial Church and the Bank of America. Parking is on the street or in one of the many parking lots & garages on "the Corner" across from Brooks Hall in lots on Elliewood Avenue, University Avenue, Fourteenth Street, and Wertland Street.